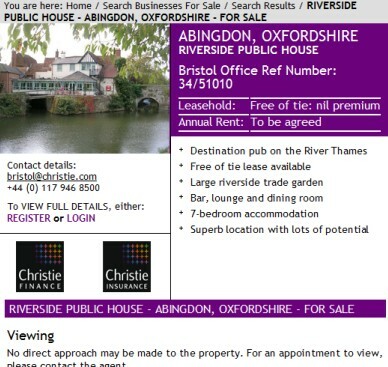 Anyone want to buy a pub? If so there is a Riverside Public House available for sale on Nags Head Island. Abingdon Town Council unanimously supported a Fair Trade resolution. Ex Lib-Dem Councillor Janet Morgan is to be made a Freeman of Abingdon at a ceremony on the 5th November. £15K from the £20K playground improvement budget for this year is to be used instead on putting in salt bins round town. It is proposed that Caldecott Rec and Boxhill Walk woods and park are designated as Queen Elizabeth Jubilee Parks in 2012. The government are looking to create 2,012 such QEJ parks. About 600 have been put forward so far, and Abingdon Town Council would add two more. Since the Town Council has not always got the resources to paint over grafitti on bus shelters, the Community Payback scheme will be asked to help. 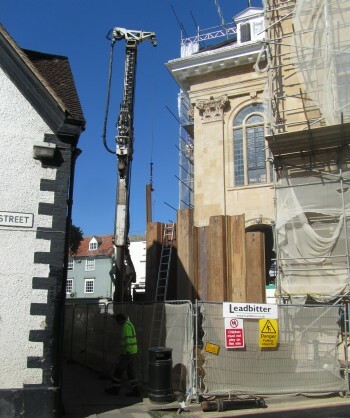 The council is to spend £30K on a feasibility study on improving the modern part of the Guildhall. The Town Council will budget £25K on the Jubilee celebrations next June. The new area for ashes at the cemetery will use a system for interring remains called Sanctum 2000 which involves holding caskets in vaults above ground. The Mayor enlisted bowls players, rather than the usual volunteer councillors, in the annual Mayor of Abingdon v Lord Mayor of Oxford’s bowls tournament, and Abingdon won the trophy. Apparently Oxford have this practise anyway and it needed evening up. At the next Town Council meeting, in a couple of months time, the Mayor would like to propose changing the name of Abingdon to Abingdon-On-Thames. 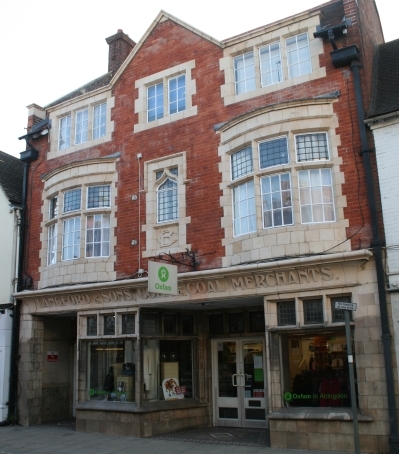 The scaffolding – in place since Easter – has been removed from 30-32 Stert Street and once again it’s easy to see and get inside the Oxfam shop. Although the cleaning of the lower part of the building is still to do, the upper part of the building looks transformed after renovation and cleaning. 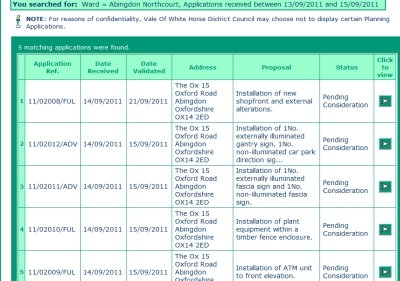 A planning application for The Ox Pub, 15 Oxford Road, Abingdon, has been published on the Vale of White Horse Distrct Council (VWHDC) system, pending a decision in November. The plans show illuminated signs, enlarged front window, and cash machine, instead of the Ox’s former horns. In the narrative the application states that planning permission is not required to change a pub to a shop. 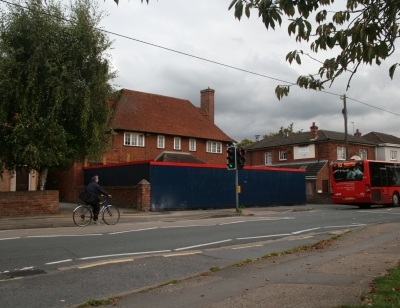 However some justification is given … the Tesco Express will be in line with the VWHDC Local Plan published in 2006 as it will keep shopping facilities in a designated VWHDC shopping area on the Oxford Road. 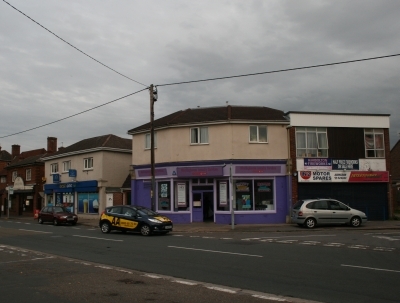 They go on to say that the new shop will be next to a Chinese Restuarant, Off Licence, Laundrette and Motor Spares company. The Off Licence could also be better described as a family run convenience store if you look inside. At Trinity we celebrated Harvest this morning. 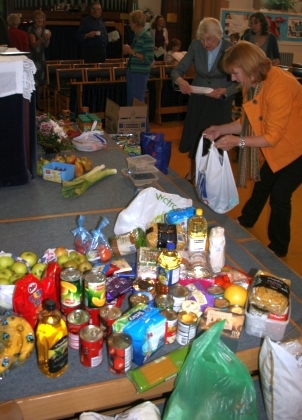 I think Trinity are earlier than most churches – so there is probably still the chance to take along some groceries to a church near you in the weeks to come. Trinity were joined by The Lighthouse Abingdon Church. They normally meet in the Net Young People’s centre, but during the building work of recent months have met in Trinity’s Conduit Hall. At Harvest today both congregations joined together. Michael, seen here in the picture on the left, and members of Lighthouse Abingdon should be back at the Young People’s Centre – soon. 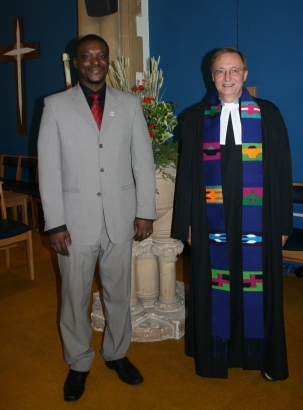 It is good to see Revd. Richard Bittleston, on the right, has made such a full recovery after he was struck down with a very serious illness at the start of May.